This post was inspired by a twitter comment I saw last week. 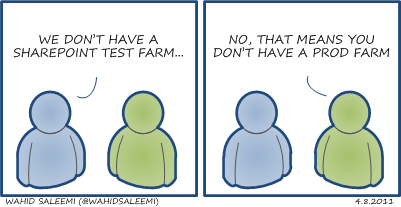 Being a fan of Dan Lewisâ€™ SharePoint Comics, I thought this would make a nice one. I thought this was the best quote I heard at SharePoint Saturday Los Angeles!